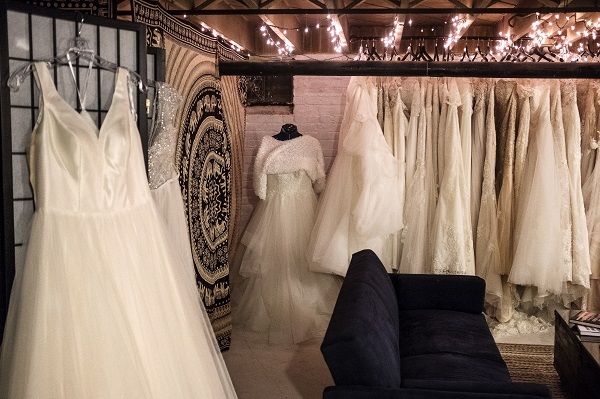 Kristin London started Detroit Bridal House in her basement in 2016. She’s now moving to a space in Midtown. 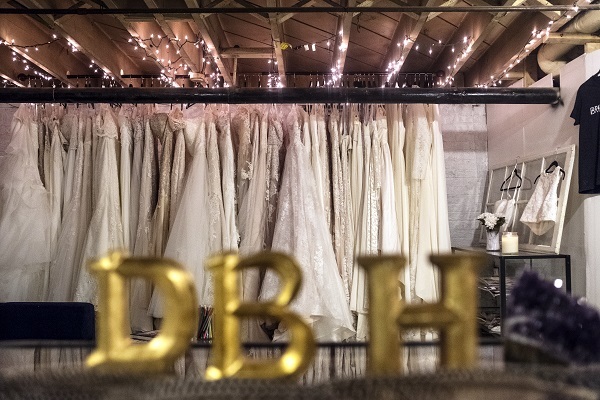 Walk down the staircase into the Detroit Bridal House, and the upbeat jams pumping on the stereo are the first indicator this is a wedding dress shopping experience unlike any other. 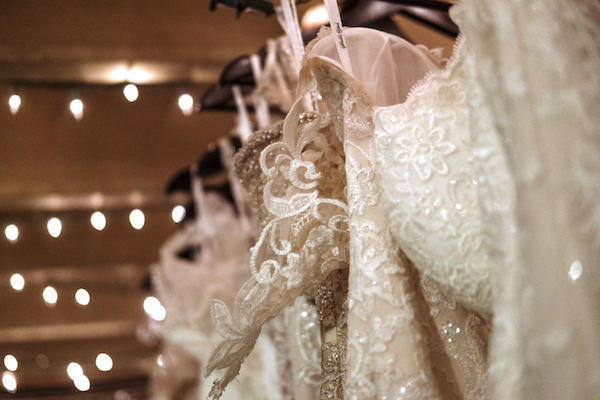 In the basement of the University District house, twinkling lights adorn the ceiling above a long rack of ivory gowns. A cake stand piled with sugar cookies sits next to champagne flutes and a bottle ready to be popped. “The Detroit Bridal House Welcomes [insert bride’s name] and Bride Tribe” is chalked in pastel letters on a wall. Candles flicker on tables, and comfy couches surround a coffee table spread with bridal magazines. In a corner, an elephant print drape carves a small space for a fitting room. “I love the idea that this is just like trying on dresses with your friends in the living room. 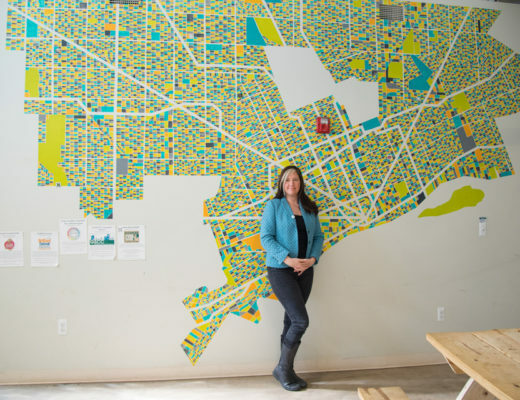 There’s something special about that,” says owner Kristin London. Dresses hang on display at the Detroit Bridal House Detroit. 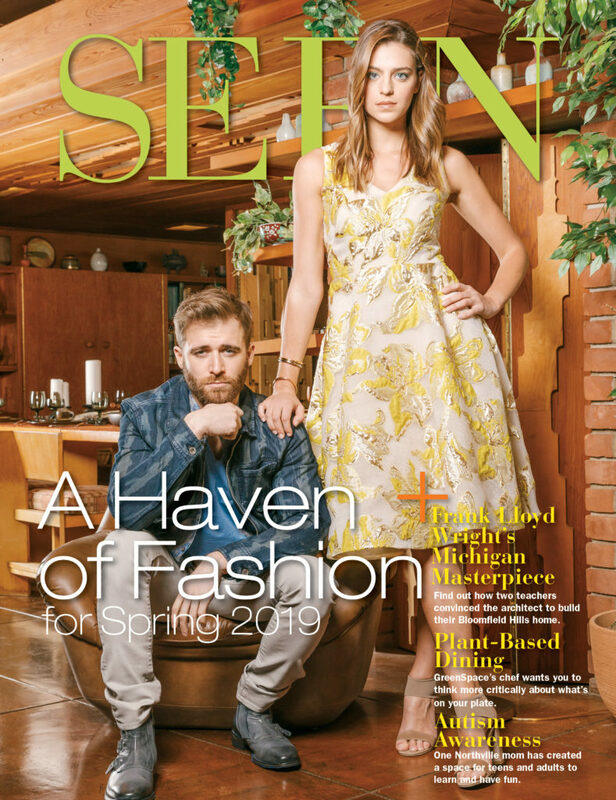 Owner Kristin London, 27, opened the store in the basement of her University District house in September 2016. 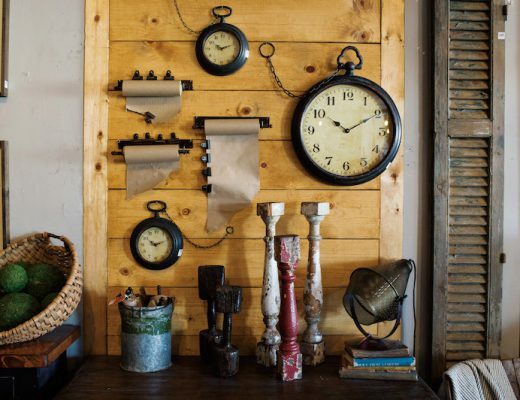 The entrepreneur has plans to open a Midtown location this spring. The 27-year-old Detroiter started the Detroit Bridal House in September 2016. A year and a half later, she’s helped 150 brides — including myself — say yes to a dress. Brides travel from Canada, Chicago and Northern Michigan to try on the Grecian styles and silk crepe dresses. 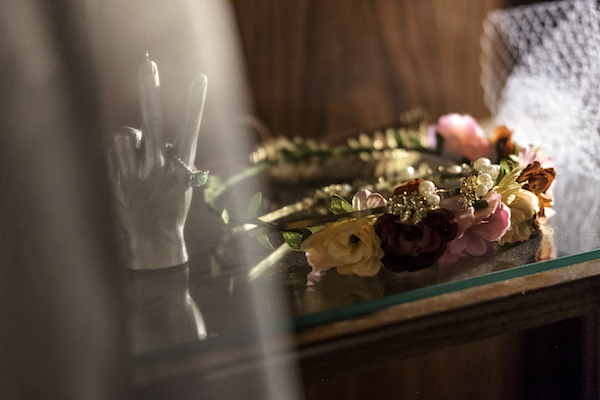 In a short time, London has turned the basement bridal startup into a successful shop, which means she’ll be moving to a new home in Midtown this spring. 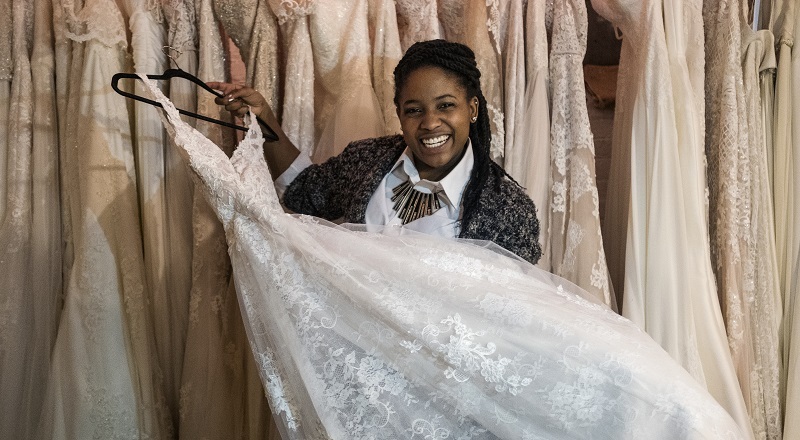 Owning a wedding gown shop is something she’s wanted to do since she was a little girl, but outfitting women in lace and trains is not London’s only job. By day, she works full-time at Wayne State University coordinating services for deaf and hard-of-hearing students. She saves her nights and weekends for two-hour dress appointments. Her schedule is jam-packed, but London loves her side gig, and says she felt a calling to do this. 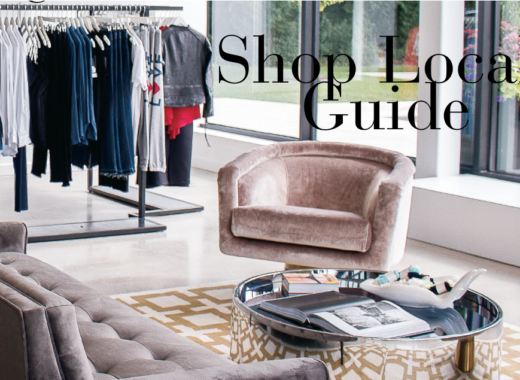 Retailing from $900 to $3,500, London carries six designers, including Stella York, Rebecca Schoneveld and Alexandra Grecco. She recently started carrying the London-based designer Sabina Motasem and claims she is the only retailer in America selling those gowns. In April, London is moving to a new location in Midtown on Forest between Cass and Second. 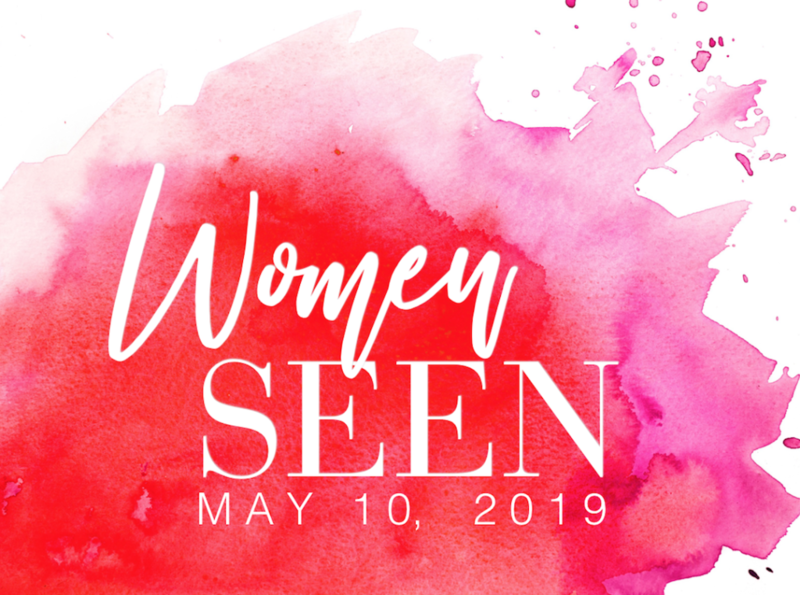 While the 1,200-square-foot space is no longer in a house, she plans to continue the homey vibe and connect with each bride. 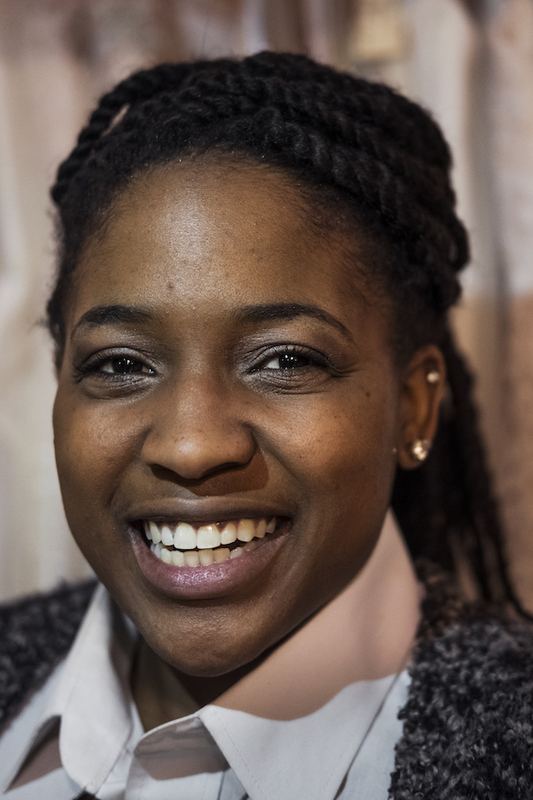 Kiara Hay, a 25-year-old Oak Park resident, was one of London’s first brides. “I was looking for a certain Stella York dress and she was one of the only bridal shops near me who carried them,” says Hay, who got married on a Riviera Maya beach in Mexico Feb. 17, 2017. 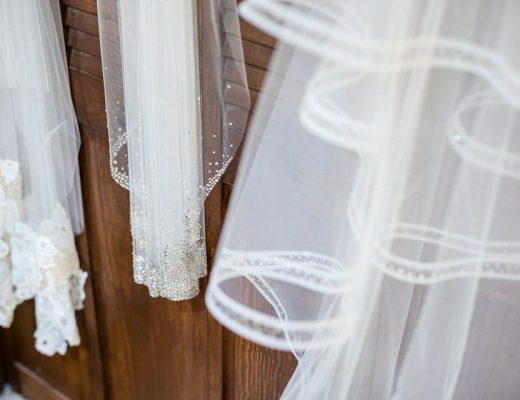 Dresses hang on display at the Detroit Bridal House. The Detroit Bridal House carries designers such as Stella York, Alexandra Grecco and My Daughters of Simone. Hay chose an ivory mermaid dress with a sweetheart neckline, low back and cinched belt. Hay admits she went to other bridal shops, but they weren’t as personable. London sits the bride and her “tribe” at the couches and asks how her fiance proposed and their love story. At the end of the appointment, London captures the experience by taking a picture of the Bride Tribe holding a DBH sign. She then posts the photo on Instagram with lyrics to the bride’s favorite song. And if the bride ends up saying “yes” to a dress, London does a little happy dance.